?Quick and simple craft project to make a boring old cork board lovely and colourful! No sewing needed - just pin the fabric and ribbon straight on! 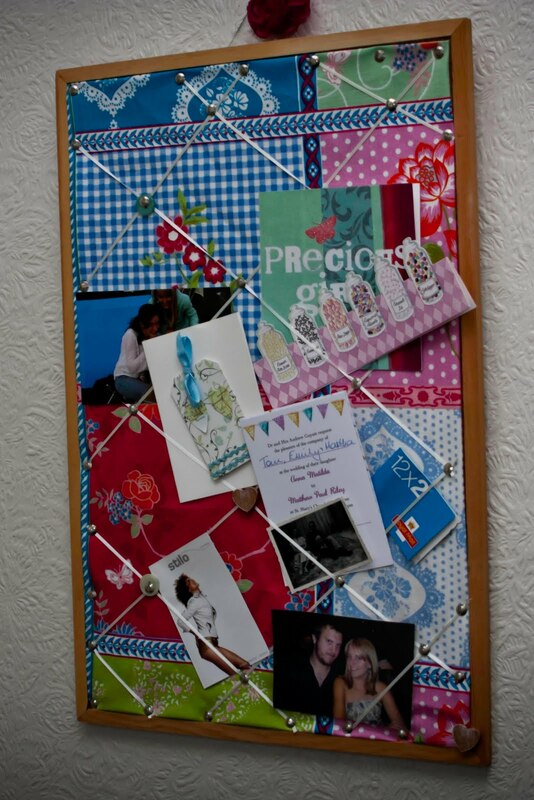 Then add photos, letters and all that junk scattered about the house!